Pest Control Services, Inc. is a full service residential, commercial and industrial pest control company serving Southeastern Idaho since 1970. We are a locally owned company that is well established in our local communities. We are dedicated to providing you, our customer, professional service and respect. Pest infestations in your home are not only annoying, and potentially embarrassing, they can create an unsafe environment for you and your family. They cause damage resulting in costly repairs and loss of products. Just knowing that your home is infested is enough to keep you awake at night. Pest Control Services, Inc. uses state-of-the art technologies and past proven methods to eliminate and manage your pest control needs. Using a combination of chemical and non-chemical treatments, that provides you with a fast, safe and efficient solution to your pest problems. 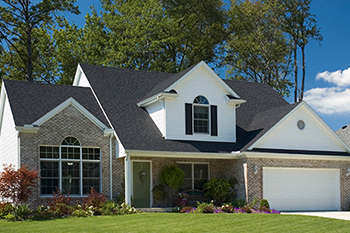 We restore your home to the way it should be; pest free. From our office staff to our spray technicians, we are committed to ongoing education for products and services. All of our applicators are licensed, trained and are continually engaged maintaining their recertification training and certification. This certification is regulated and monitored by the Idaho dept. of Ag. We are licensed and insured. Application of dormant oil is generally applied between March and April and is an effective spray that can be applied to trees and shrubs to help control insects and spider mites. It acts by coating over-wintering insects and their eggs in tree trunks and limb bark with a suffocating layer of oil. Some of the insects suppressed by dormant oil sprays are red spider mites, scale insects and the eggs of the codling moth (wormy apples). There are many other insects dormant oil helps control. Dormant oil is the first step in our seasonal insect and spider control program for your trees and shrubs. Our tree, shrub and foundation spray program has come from over 40 years of experience dealing with a variety of insects, spiders and many diseases that are specific to southeast Idaho. Knowing and understanding your pest, its life cycle and proper application timing is critical for getting good control. Our spray programs are designed around this criteria and experience. This spray is to control insects such as the apple coddling moth (wormy apples), apple aphid and many other insects that attack fruit trees. This spray can be done after pedal drop in May until September or 14 days before harvest. Foundations sprays can be done monthly from March through October. These sprays will control spiders, ants, beetles, earwigs and a wide variety of other insects and spiders. Our main lawn fertilizer program is a liquid slow release weed & feed. This is blended with vital nutrients including Iron your lawn needs to maintain good health and weed control. As an option we also offer a slow release polymer coated pellet fertilizer, which includes iron. With pellet application weed spraying is done separately. This application is strictly for weed control. There is no fertilizer in this spray. This application will control broadleaf weeds, clover and numerous other lawn weeds. There is no selective herbicide for control of quack grass at this time. Your lawn may be affected by grubs, sod webworms, billbugs and other numerous insects. We offer a pre-treatment for grubs in the spring, and post treatments throughout the summer season. Southeast Idaho lawns are susceptible to many diseases such as necrotic ring spot, ferry ring, dollar spot and others. Although these can be difficult to control we offer fungicide applications for suppression of diseases and consultation for good cultural control management. We offer residential rodent control. This includes inside and outside bait stations, traps, repellents, and rodenticide baits for voles. Generally inside rodent control requires 90 day program. Safety precautions are taken to protect children and pets. This is a special formulation to provide trees and shrubs with vital nutrients to maintain a healthy vigor. This keeps your trees looking greener and reduces the adverse effects of disease and insect damage. Application is done in the early spring and late fall. Note: With some applications to trees in lawn areas, there may be some extra growth and greening around injection holes. This generally only lasts a short time. Once the pest is identified, insect or spider we offer solutions to your pest problems. Most of our sprays are odorless and will not stain carpets or drapery. A few of the insects we treat are spiders, ants, bed bugs, roaches, weevils, fleas, and carpet beetles. Pest Control Services, Inc. provides conventional and V.A/F.H.A. termite inspections for real estate transactions. Weather your building a new home or commercial building or have an existing building we provide inspection to full service termite treatment control options. Our service options include pre slab applications and conventional sub slab injections. We also offer bait treatments where conventional treatments are not possible. Many people mistake termites for ants and miss identify the pest there dealing with, or think that it is too cold here in Idaho for termites. Proper identification is critical, so if you suspect you may have termites and not ants give us a call for positive identification. Either way we can provide a control solution. If it turns out that it is subterranean termites, we are a licensed Termidor product user, which leads the industry in subterranean termite control, and most treatments carry a 5 year warranty. It is not uncommon during our yard and tree inspections, we find evidence of bores, scale or one of the diseases like canker or fire blight. Spray applications may be helpful, but at times not as effective as direct injection or soil drench. Our Micro tree injection system allows us to inject directly into the tree, this has many added benefits. Injection with a systemic is very effective in controlling boring insects or diseases where translocation of product within the tree targets the pest more directly and effectively. With this application we have a wide range of products available to control insects and diseases. Soil drenching is another application method; just like our Micro tree injection our soil drench application also provides many specific benefits. Scale is a huge problem in southeast Idaho, as well as aphids. Soil drenching trees infected with these pests is a very effective pest management tool. Listed here are a few of the trees we treat with Micro injection and or soil drench, most of our customers will have one or more of these trees in there yard. Ash, Maple, Birch, Aspen, Locust, Popular. These are only a partial list. These applications include round-up or pre-emergence for total vegetation control. Round-up is a contact herbicide that is non-selective herbicide used to kill established weeds and grass; Roundup will not stop new plants from germinating. Normally we recommend monthly inspections and touch up applications to control those new weeds that germinate after our initial application.